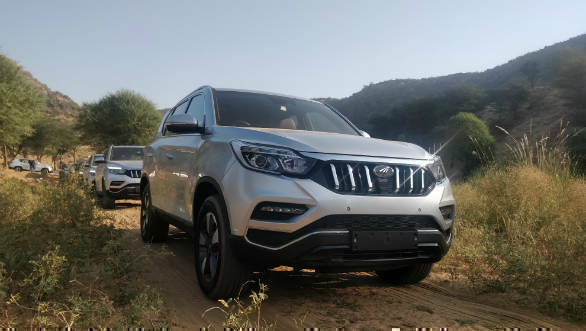 The launch of the 2019 Mahindra Alturas G4 was not like the other car launches one's used to seeing. At the two day event in Jaipur, Mahindra organised a polo match and a poetry recital by noted lyricist and poet, Javed Akhtar, among a number of other programmes. The rationale behind this was to further reiterate this SUV's premium positioning. The strategy worked well enough and a lot of motoring journalists came away largely impressed. For me personally, some level of anticipation had built up by the fag-end of the event. 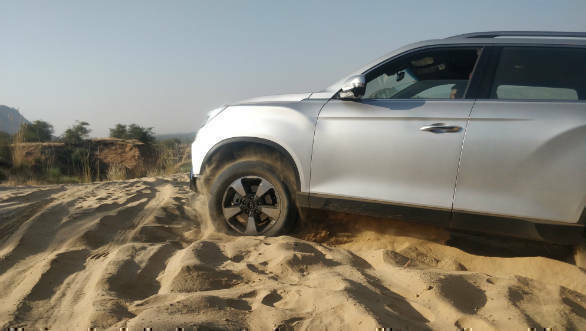 The last activity planned was a short off-roading session with the Alturas G4. Ever since my first hit of off-road driving during the OD SUV Slugfest, I'd been itching to get some more such driving done. 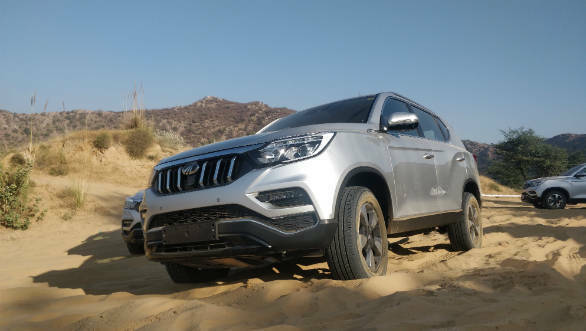 OVERDRIVE has already reviewed the new Alturas G4 so I knew this car, with its ladder frame construction and four-wheel drive, would have some off-roading chops. 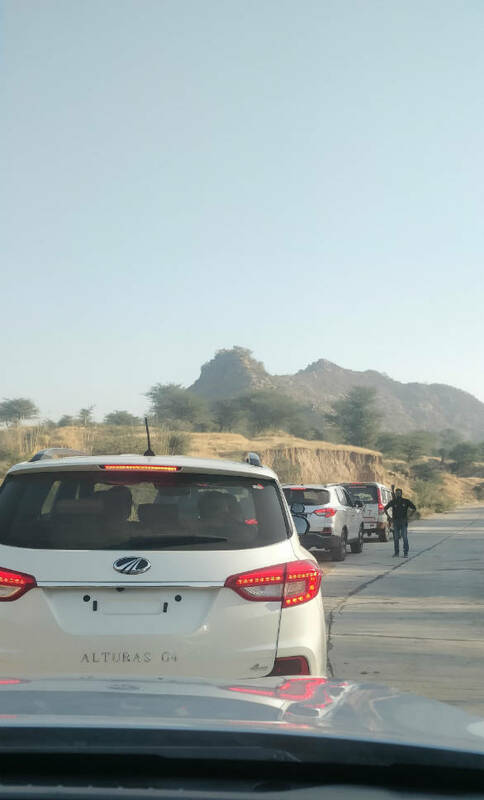 Stepping into the cars at the Moto Sports Park outside of Jaipur, I find the interiors inviting, up to the standards of a Rs 29.95 lakh car. I later realise that during some of the bumpier sections of the course, a bit more bolstering for the front seats would have been helpful. The short drive up to the course from the parking lot shows the car to have good ride quality on the mix of paved concrete and dirt that the road had to offer. The SUV bobs over a series of closely spaced undulations on this stretch. This is expected given this car's construction, and softly sprung suspension, but the smaller 18-inch wheels on the Indian-spec car might have accentuated this sensation. We head into the course next, a mix of loose and packed sand, dotted with crests, dips and sections of corners, both slow and tight and quick and sweeping. 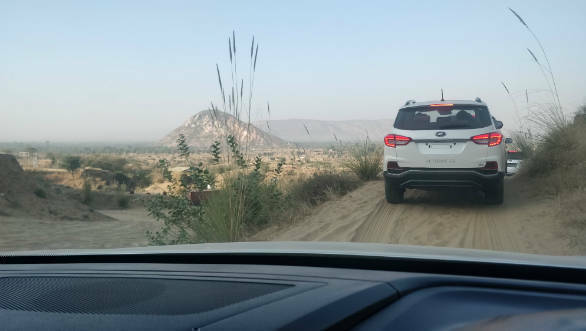 The 4L setting (accessed via a rotary selector on the centre-console) on the SUV ensures that it heads up an incline without any drama, the four-wheel drive system working unassumingly to keep traction. The Alturas G4 offers great visibility for the driver. There is an expansive glass area, the edges of the bonnet are clearly visible from the seating position and the outer mirrors are large. This means I'm able to easily place the car through a shallow trench-line section not a whole lot wider than itself. There is some drama in the steep downhill sections though. The loose earth here makes me miss the basic terrain-mode system that the Endeavour comes with. 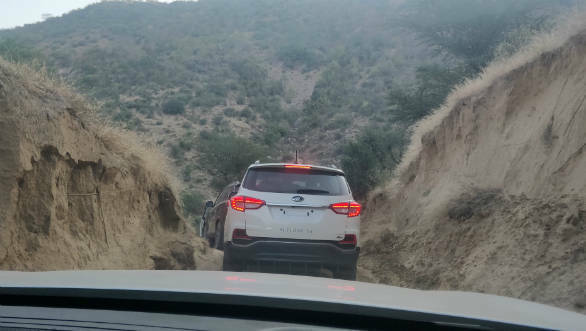 The heavy SUV gains momentum quickly and the hill descent control doesn't reign in proceedings as much as I would have liked. A bit of brake modulation calms the situation, and my nerves, to a large extent and I'm quickly back in control. Here a bit more feedback from the pedal would have been nicer. On the plus side, the chassis lets you know soon enough that the car is slipping away. The Alturas G4 has a tight 5.5m turning radius. This along with the good visibility ensures that most of the slow, tight turns of the course are tacked brilliantly. The slightly quicker sections aren't an issue either. A mention here of the steering wheel. Its light, city-friendly setup has advantages here too and I am able to make quick work of the twisty bits. It is also well-shaped, large and thin-rimmed and has these angular protrusions on the lower half, letting me place the car better. The suspension absorbs the undulations in these sections silently, only the body movements tell me of what's happening underneath. It only makes its presence heard with the loud thuds over big pothole-sized dumps. The drivetrain package could have been more eager though. The 2.2 litre, 181PS/430NM four-cylinder turbo diesel only wakes up above 2,000rpm. Couple this with the slightly sluggish Mercedes-Benz seven-speed torque-converter automatic and I found myself stranded and in need for some grunt on a few occasions throughout the course. 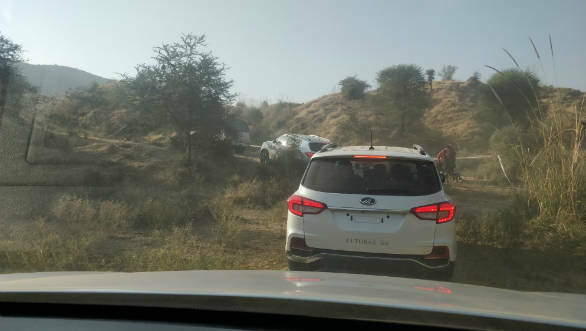 But then again, this isn't something the Fortuner and to a lesser extent, the Endeavour isn't guilty of either. 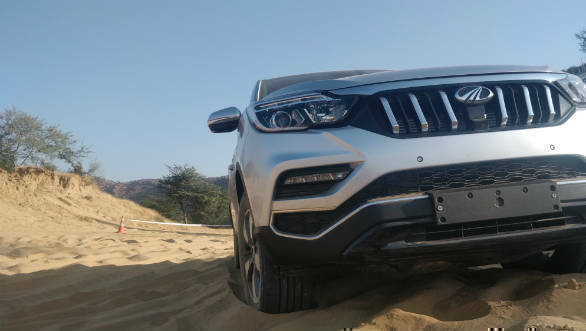 We already know that the 2019 Mahindra Alturas G4 is a superior car to its predecessor in any measure, with the added brand cachet of the Mahindra. 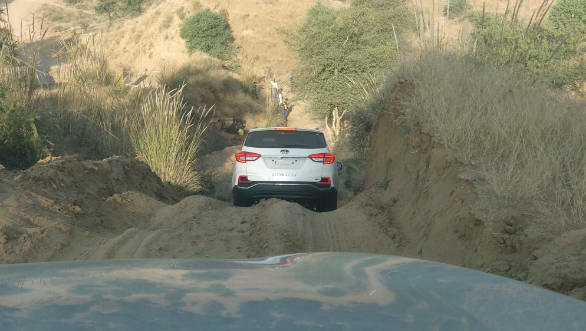 This short off-road stint proves that it is much the same in trickier conditions. There are a few flaws, but the section of buyers who will put the Alturas through these conditions is minuscule. The ones who do will know how to work around these flaws and even find the challenge rewarding. 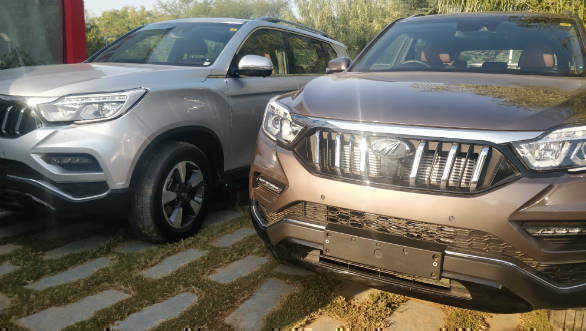 The Rs 26.95 lakh price for the 4X2 and Rs 29.95 lakh for the 4X4 (both ex-showroom India) also makes the Alturas G4 good value against the two stalwarts of this segment, the Toyota Fortuner and Ford Endeavour. These two better watch their back, because Mahindra seems to have more than just a foot in their house's door.